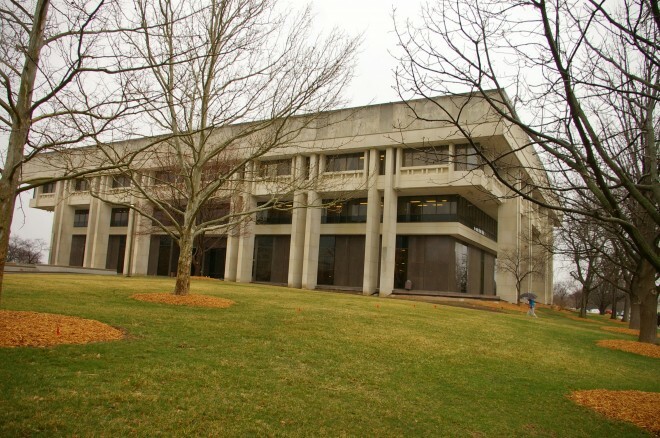 Description: The building faces north and is three story concrete and glass structure with concrete pillars. 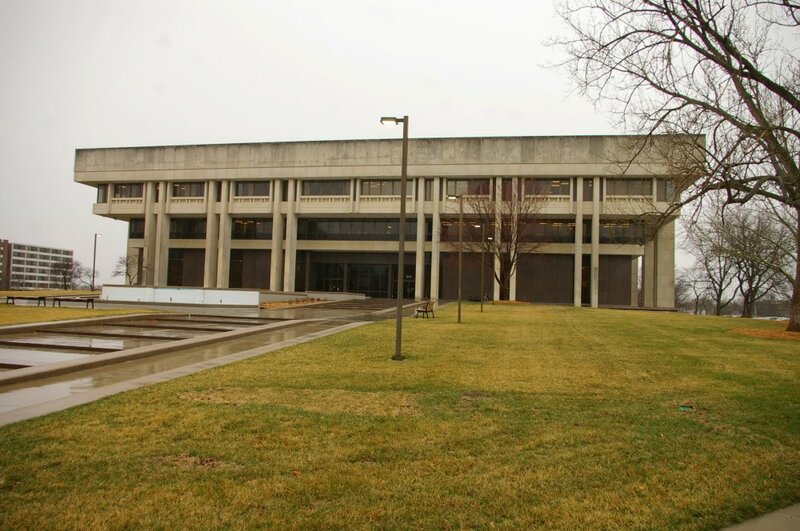 On the north front is a fountain and landscaped grounds. The building is the Kansas Judicial Center. 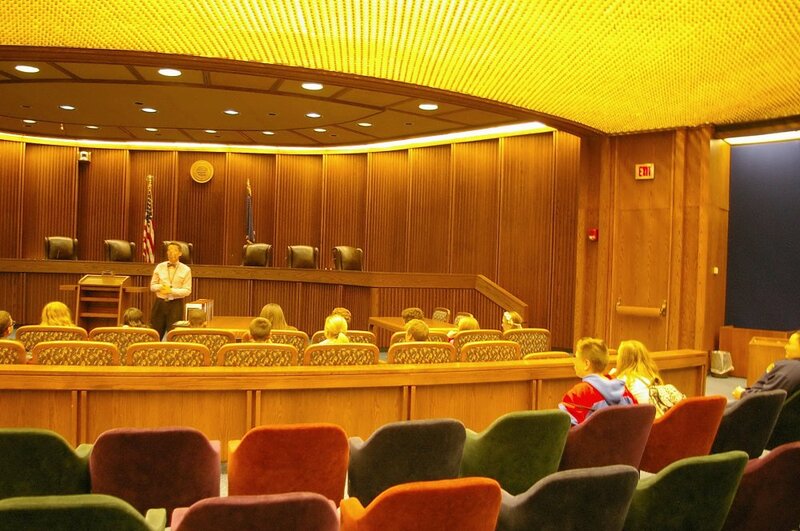 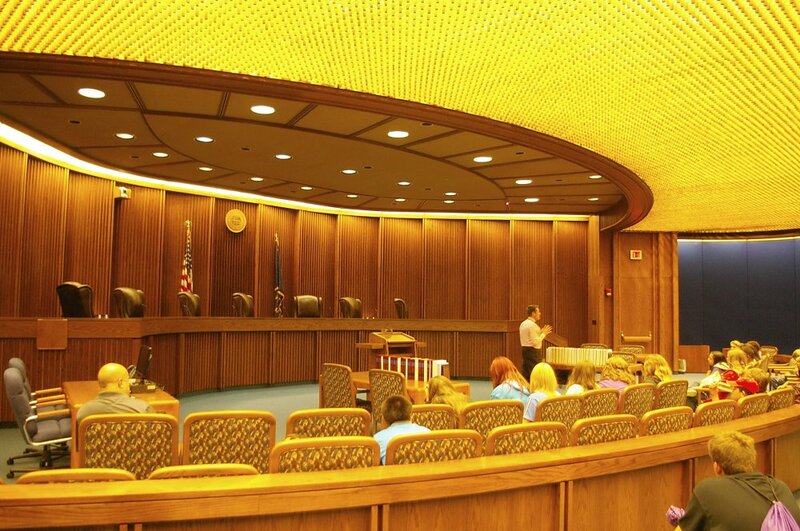 The Supreme Court was originally housed in the State Capitol. The building was authorized by the 1973 Legislature and was constructed under the auspices of the Capitol Area Plaza Authority. 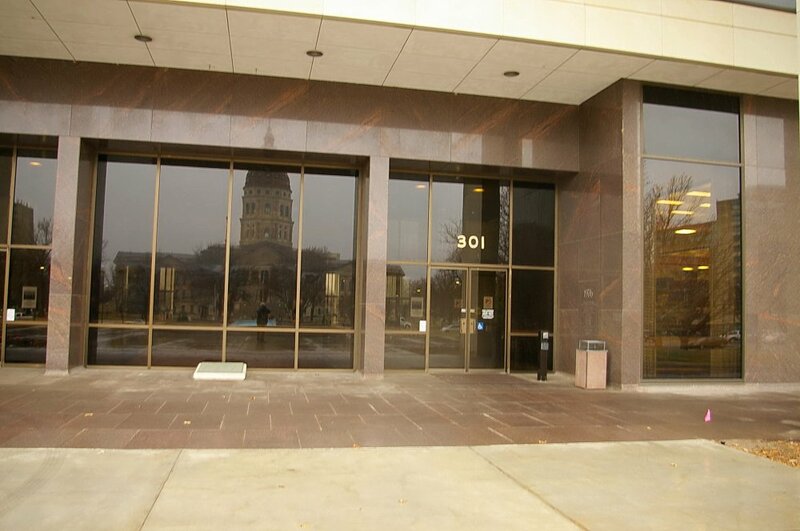 The exterior of the building features native Kansas cottonwood limestone. 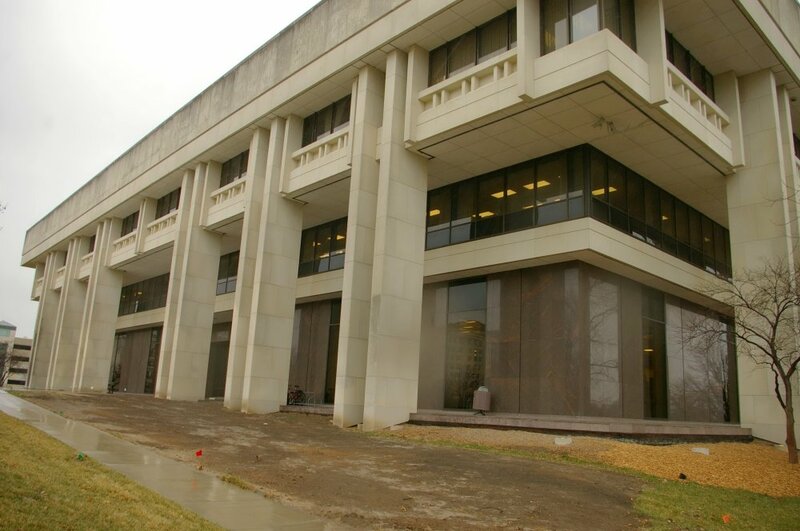 The building is designed to complement the State Capitol and is located on direct axis with the Capitol. The public access area and the Supreme Court Law Library are located on the ground-floor level. 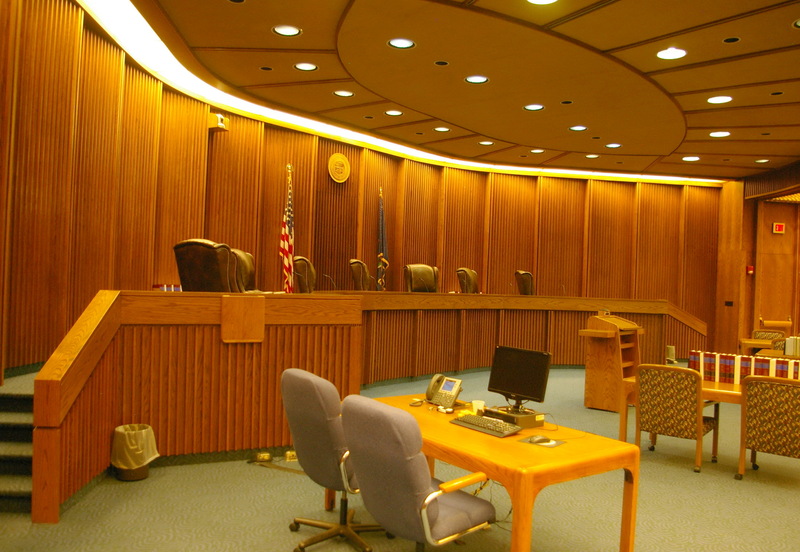 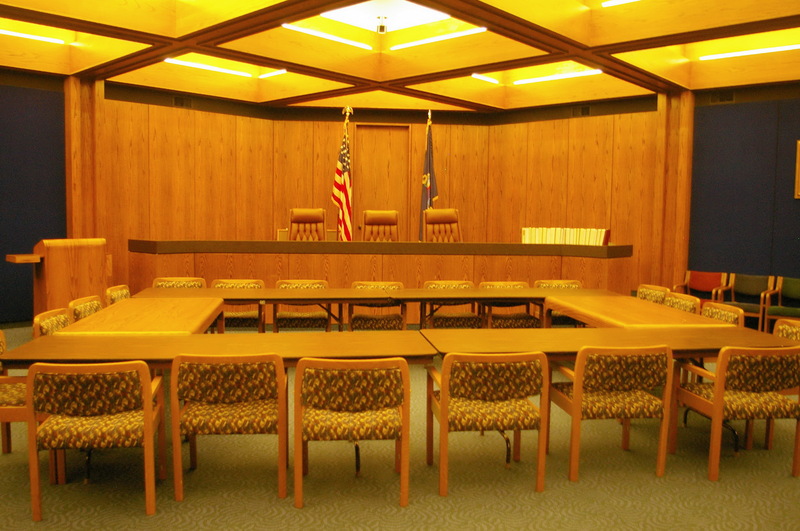 The Court of Appeals, Judicial Council, and the offices of the Attorney General are on the second story, and the Supreme Court and its adjunct offices are on the third story. The public area of the Judicial Center has been named the Hall of Justice. 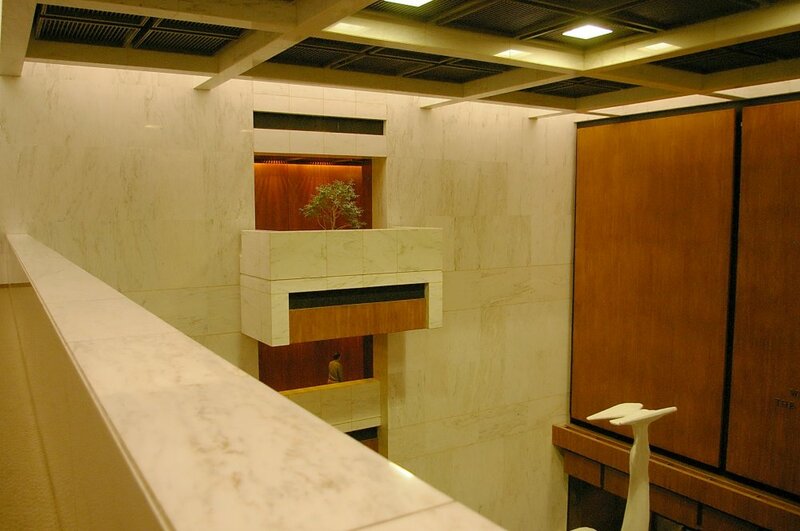 A sixty-foot cube of space, this area features oak, Vermont marble, and South Dakota granite – enduring materials which symbolize the permanence of justice. 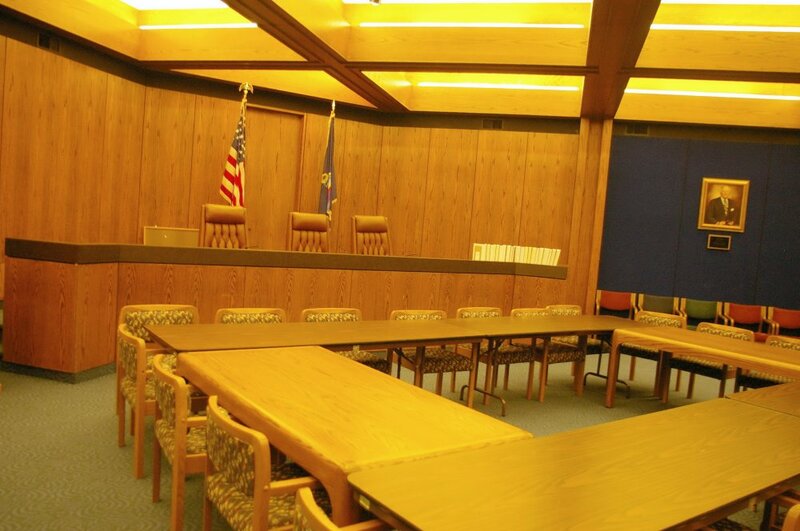 Visually impressive in the hall is a large sculpture of Justice designed by the late Bernard Frazier, Sculptor-in-residence at the University of Kansas. 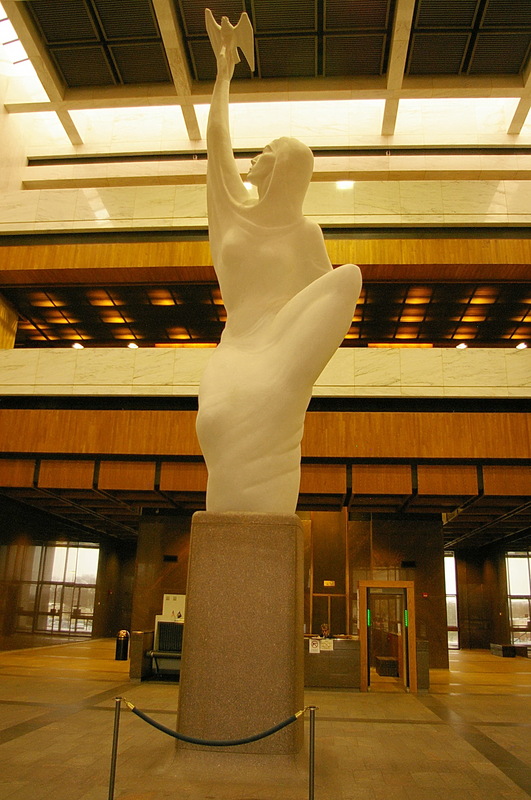 The sculpture, a half-kneeling woman holding a prairie falcon, symbolizes Kansas justice as lofty, dynamic, and idealistic, with clear vision and swift action. 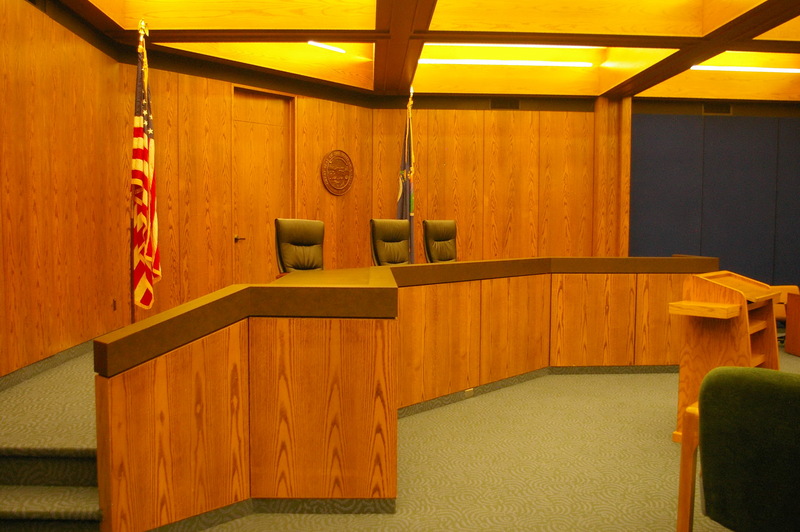 Although the creator of this new symbol of justice died before his work was completed, it has been ably finished by his son, Malcolm Frazier. The sculpture was made possible through the generous gift of Mr. A B Hudson of Maple Hill. 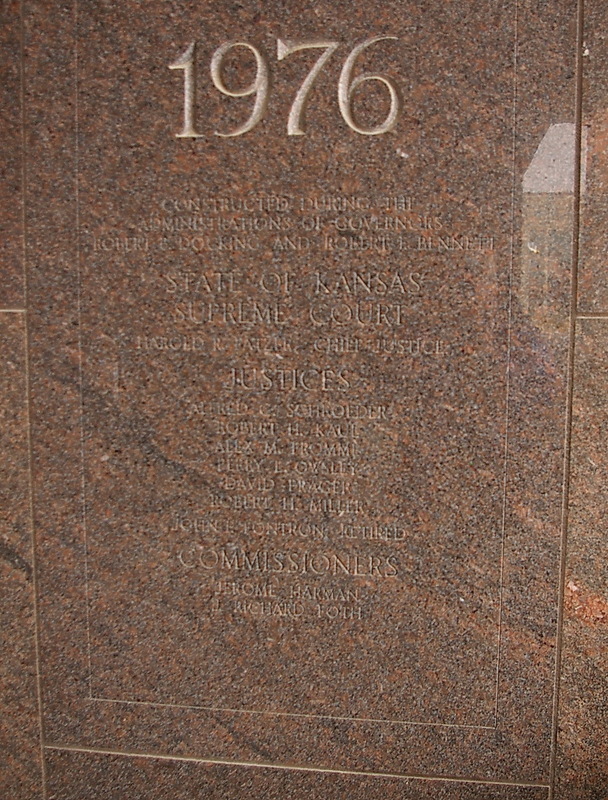 The message on the wall of the hall was authored by Becki Godsey of Dodge City and was chosen in a statewide “Page of History” competition for school students. 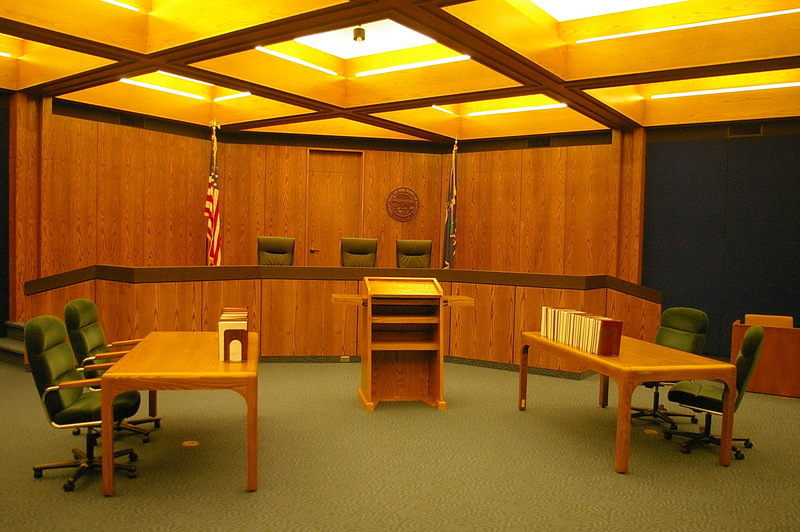 See: The Kansas Judicial Center is located in Shawnee County.